Tonight’s episode of WWE Raw is set to be a stacked one full of returns with major names appearing, whilst the build to the Royal Rumble continues. John Cena, Brock Lesnar, and Hulk Hogan are all being advertised to appear on the first live episode of WWE Raw in 2019 as the ‘fresh start’ continues. The Immortal One, Hulk Hogan will make his first appearance on the flagship show since 2015 as he honors the late, great, “Mean” Gene Okerlund. Following his return on SmackDown Live last week, John Cena will be back once again, this time on the red brand, but who will get in his way this time around? 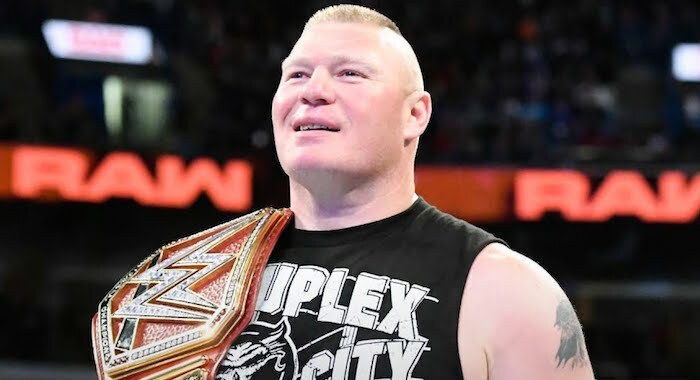 As well as that, the Universal Champion, Brock Lesnar and Paul Heyman will be on the show to continue the build to his next title match against Braun Strowman at the upcoming WWE Royal Rumble PPV. Chad Gable and Bobby Roode will also defend the WWE Raw Tag Team Championships in a lumberjack match against The Revival, with the Top Guys looking to become champions for the first time on the main roster. As always, ProWrestling.com will be presenting complete, LIVE coverage of WWE Raw beginning tonight at 8pm EST, so be sure to join us then! Is the old Seth Rollins back? The legendary John Cena makes his Team Red return as Raw kicks off a new year. Also on Raw, Hulk Hogan returns to celebrate the life of fellow WWE Hall of Famer “Mean” Gene Okerlund, “A Moment of Bliss” debuts and much more!